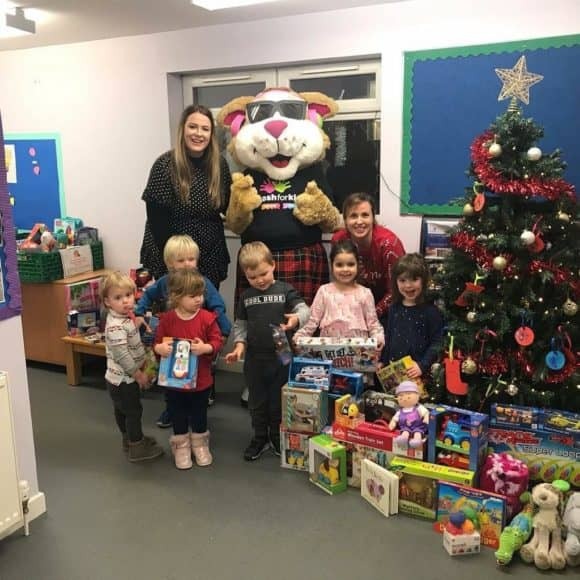 Dundee nursery children and their families have been wrapping up for local charities, by donating everything from cosy coats to festive food. Children from The Teddy Bear Club Nursery have been donating ‘gently worn’ coats, jumpers, hats, scarves and gloves for the Salvation Army who visited the nursery today to collect the much-needed clothing. The items will shortly be distributed to both children and adults locally. The children have also been bringing in donations to Dundee Foodbank, including selection boxes and other festive treats, which were also collected today. Meanwhile, Cash for Kids’ Mission Christmas campaign will be boosted by toys chosen by the pre-schoolers with cash from nativity play ticket sales, and other toys bought and donated to the festive campaign. The toys will be collected in the days ahead. Courage the Cat collecting the children’s toy donations! Each year, EQ Chartered Accountants recruits a new batch of trainees and is now accepting applications to commence CA training contracts in August 2019. 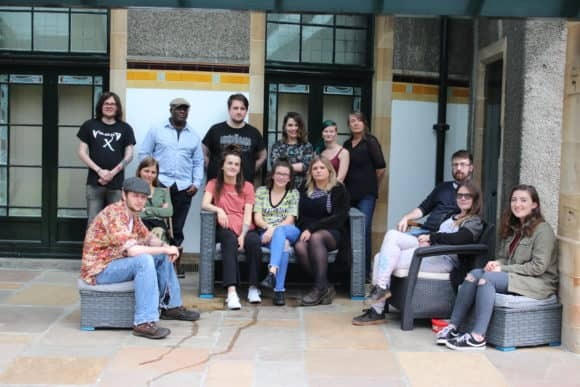 The majority of their 2018 intake of seven, who are spread across all of the firm’s offices in Dundee, Forfar, Glenrothes and Cupar, are accountancy / finance graduates. However, when it comes to their ‘wishlist’, EQ is seeking more than financial prowess. Indeed, as part of the firm’s commitment to identifying the right calibre of graduate regardless of their discipline, EQ has welcomed Aiden McIntyre (24), an Aeronautical Engineering graduate from the University of Glasgow. Aiden McIntyre …. Credit Alan Richardson, Pix-AR. The first phase of homes within Stephen’s new housing development in Perth are now available for reservation. 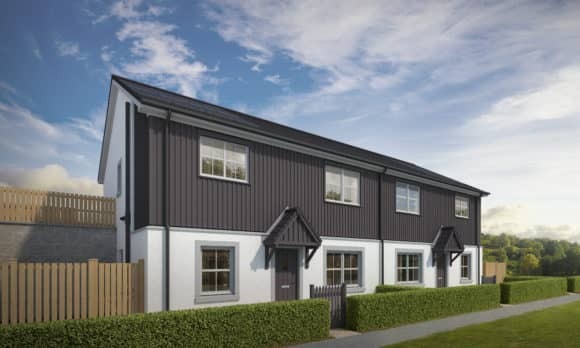 A variety of two bedroom apartments and two and three bedroom semi-detached villas are now under construction and available to reserve at the West Woodlands development, just a stone’s throw from Glasgow Road. Reservation details relating to the two bedroom detached bungalows and four bedroom detached villas will be released in Spring 2019. 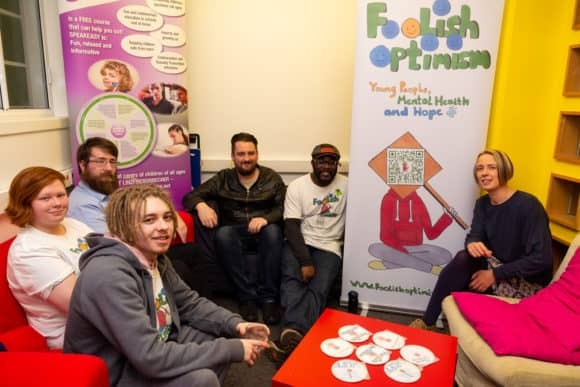 A groundbreaking mental health film, aimed at encouraging young people to talk about their feelings, is to be adopted by a NHS Tayside initiative which helps parents and carers broach sensitive subjects. Now, NHS Tayside has chosen to adopt the film as part of its package of training resources. Chika and Linzi with some of the Foolish Optimism Working Party.